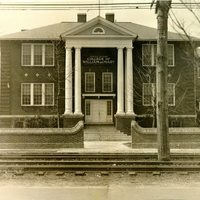 The Old Dominion University Libraries commemorate the 75th Anniversary (2005) of Old Dominion University with an exhibit featuring some of the prominent buildings on campus and people associated with those buildings. 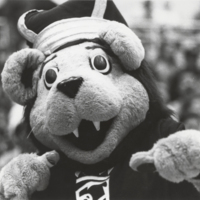 The exhibit features photographs and oral histories from the University Archives. 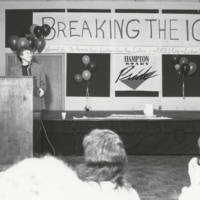 An exhibit in the Learning Commons in 2012 featured photographs and news clippings from the University Archives and Athletics Department and borrowed from an article by Steve Daniel, former ODU Public Relations Director. View the many faces of Big Blue from the 1970s til now. The exhibit was created by Teresa Statler-Keener and Karen Vaughan. The Special Collections and University Archives of the Old Dominion University Libraries have created an exhibit celebrating the history of diversity on campus. The exhibit features a timeline of social change and notable firsts at ODU regarding all aspects of diversity including, but not limited to, African American history, women's history, and the LGBTQ and international communities. This digital exhibit celebrates the presidents of Old Dominion University. 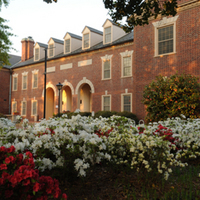 Originally created in 2001 as a welcome to Dr. Roseann Runte, it was updated in 2009 as John R. Broderick was introduced as the eighth president.